When the leading powers of the world assembled in The Hague in May 1899 to discuss mechanisms for avoiding war by means of international law, China took its equal place. For the Qing government, the invitation from Tsar Nicholas II to attend the conference was enormously significant. The Heavenly Kingdom had lost its special status in Asia to Japan in 1895. Hence the Chinese Foreign Ministry (Zongli Yamen) saw the international peace conference as a genuine opportunity to present itself as a great power that represented the long tradition of Asian civilisation. However, the way in which the Qing government interpreted the discussions during and after the first Hague Conference brings to light a fundamental misunderstanding between China and the Europeans regarding their respective perceptions of international law and the world order. A sound interpretation of foreign policy and international relations needs to consider the mental frameworks within which its actors operate. In 1899, the common framework across Europe and most of the Americas was the rise of international law as a core element to ‘civilise’ the relationship between nations beyond taking up arms against one another. However, the translation of this system to China did not match the mental framework of the Confucian understanding of Chinese foreign policy. Imperial China saw the conference as a game of power rivalry in the guise of legal mechanisms. Conflicts in world politics around 1900 were interpreted as historically analogous to the peace negotiations between different regional powers in ancient China. This caused problems for the positioning of China at The Hague and in international discussions. It also indicates that ‘Western’ powers find it difficult today to come to terms with Chinese frameworks for forming a global regional order. The Chinese political aspirations that underlie the economic agenda of benevolent development and a ‘harmonious’ regional international order in Eurasia and the Pacific – namely, the Belt and Road Initiative (BRI) – also involve specific historical framings of the proposition. At the Hague Conference, the historical analogies to ancient Chinese history were key to determining the Chinese government’s course of action. 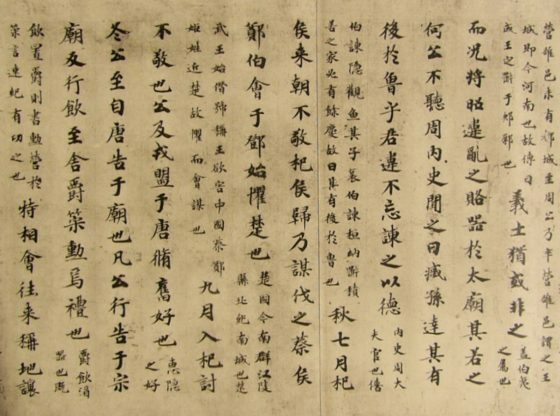 The Chinese delegate, Yang Ru, compared the peace conference to the armistice negotiations between the territorial states of Chu and Jin in 579 BCE, described in the Spring and Autumn Annals, the Confucian classic of Chunqiu. Candidates for the public examinations like Yang Ru, who passed his imperial examinations at the provincial level in 1867, would practise interpreting the commentaries of the Chunqiu from a very early age as key to their understanding of morals and politics. (It is believed that Mao Zedong despised Confucius because he had to study the Spring and Autumn Annals in his early youth.) Despite the violent rupture with Confucian intellectualism during the Cultural Revolution, the annals and commentaries are still considered a core text for the interpretation of international relations. The Chinese Foreign Ministry concluded from this interpretation that war was inevitable in the long run and therefore held a rather sceptical outlook towards international law, which it viewed as a European political tool to display public morality. Although Yang Ru insisted that China sign the revised Geneva Conventions as an important step towards receiving full recognition in international society, China – due to the conjunction of crises caused by the Boxer Uprising – nonetheless ignored the vital importance of legal conventions for the rules of warfare among civilised nations. Yang Ru’s prediction about the failure of lasting peace and the antagonistic nature of world politics as a realist struggle between interest-led belligerent states mirrored the conclusions of the Spring and Autumn Annals as much as the course of European diplomacy after 1899. The peaceful settlement of disputes, just like the armistice between Chu and Jin in 579 BCE, would only serve to enable the two powers to re-arm during a short truce. In the light of this interpretation, the Geneva Conventions were seen as a restraint on the Chinese army in the inevitable warfare to come and therefore did not rank high on China’s agenda in 1899/1900. Yang Ru’s judgement of European diplomacy proved to be accurate. The Hague Conferences of 1899 and 1907 did not lead to arms control among the competing powers, and nor did the plans for courts of arbitration prevent the outbreak of war. The European powers ‘sleepwalked’ into the crisis of July 1914. Yet the conclusion that morals in politics were only a fig leaf and an impediment to using all necessary means to succeed in warfare led China to believe that international law and humanitarian conventions could easily be ignored. Despite Yang Ru’s memoirs from The Hague indicating that equal inclusion in international society depended on signing the Geneva Conventions, China chose not to embrace the internationalist ‘crown of the edifice’. In fact, it literally forgot to sign the Geneva Conventions until 1904. This meant that at the outbreak of hostilities between Russia and Japan on Chinese territory in February 1904, the Chinese government had left its Manchurian provinces unprotected through international agreements. It watched helplessly as the war brought chaos, hardship and displacement to its northeastern backyard. In politics, words are deeds. The words used to describe political decisions indicate the mindset of what actors perceive as possible or impossible, desirable or undesirable. In 1899, China identified its course of action in terms of historical analogies, while the European powers largely ignored this rationale. Today, Europe would be ill-advised to ignore the role that narratives of Chinese history play in the official rhetoric and conceptualisation of politics in the twentieth and twenty-first centuries. Current analyses would do well to grasp the full meaning of China’s rhetoric about ‘civilisation’, harmony and history in framing the Belt and Road Initiative in order to appreciate its implications. To do this, we need to understand the Chinese classics, Chinese and Asian international relations and also the reality of the tributary system before 1840, and come to terms with the idea of dominance under the guise of unequal yet harmonious relations with barbarians, foreigners and tributary vassals. One can only speculate how much the Confucian classics still influence the political mindset of Chinese officials in framing foreign policy today. Much of this tradition was cut off during the Cultural Revolution. However, although Mao Zedong in particular left a legacy of anti-Confucianism within Chinese politics when dealing with moral standards in politics, he frequently referred to the Confucian classics in framing his cause. The classics were and still are present in official Chinese rhetoric. By ignoring or misunderstanding similar historical examples, Europe might miss out on understanding the use of historical re-invention and analogy when it comes to evaluating the political implications of the ‘Silk Road’ in years to come. Too little understanding of Chinese history, its rhetoric and re-invention might leave the rest of the world oblivious to the full political implications of China’s BRI. 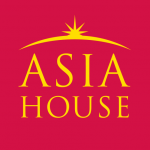 Can China exert ‘smart power’ in Southeast Asia through the BRI?